PV Nano Cell exhibited at NANOKOREA 2016, Korea’s leading nanotechnology event. 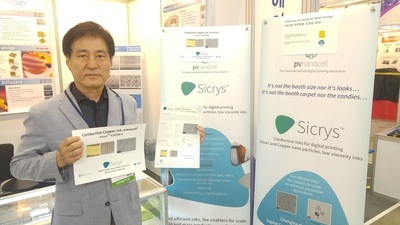 During this three day symposium and exhibition, we exhibited our new line of copper inks for the first time. These inks are a groundbreaking advance in electronic printing materials for mass production, with a wide range of manufacturing applications.